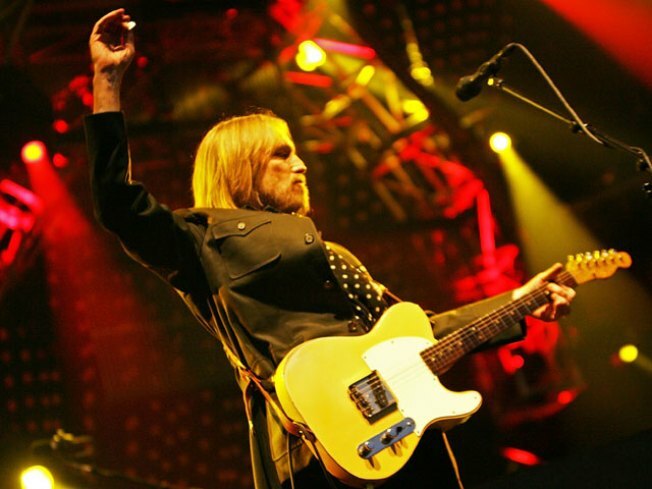 Tom Petty put up a reward to find five of his band's stolen guitars on April 14, 2012. This is a file photo from concert. It must have been a heartbreaking moment for Tom Petty as five of his band’s guitars were stolen from a studio in Culver City. The guitars were stolen Thursday afternoon from Culver Studios, 9336 W. Washington Blvd., where the band was rehearsing for an upcoming tour, police said. The band posted detailed descriptions with pictures and serial numbers, as well as a $7,500 ''no questions asked'' reward, on its website. The stolen instruments include Petty's blond 1967 12-string Rickenbacker and his Gibson SGTVJunior, Mike Campbell's blue Dusenberg Mike Campbell model, Ron Blair's Fender Broadcaster and Scott Thurston's 1967 Epiphone Sheridan. A quote from Petty’s website confirmed the theft. “Five guitars belonging to Tom Petty and The Heartbreakers have been stolen from the Soundstage in Culver City where they have been rehearsing for their US tour which will start next week,” the website read. A Tweet from @TomPetty said, "Need these back, please help ... we are offering a reward. NO questions asked." The band set up a Facebook page as well. The band asked anyone with information about the guitar heist to StolenGuitars@TomPetty.com or call Culver City police detectives at (310) 253- 6305.